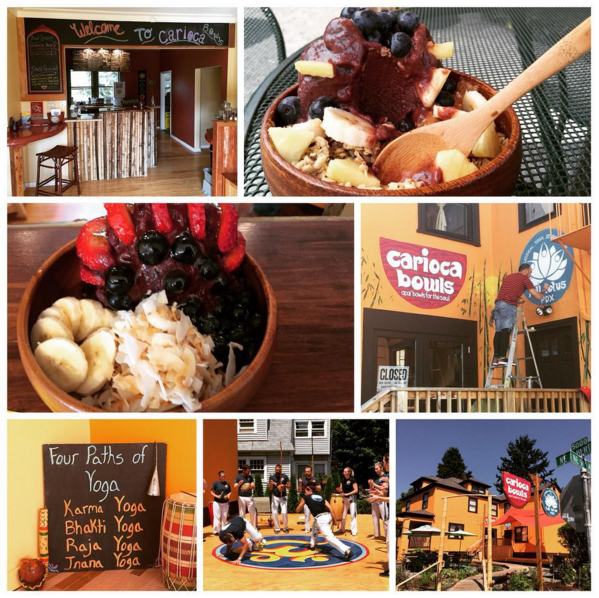 Our goal at Carioca Bowls and Full Lotus PDX is to create a place that embraces all aspects of a healthy, happy, vibrant lifestyle. We strive everyday to share and learn more about nutrition, movement, stillness, breathing, and positive thinking. Check out our full schedule for donation based yoga & meditation classes and workshops. Join us on "last Sundays" for our monthly Community Kirtan 'n' Kitchari from 6-8pm (see Full Lotus PDX calendar). Come join us for a delicious bowl, a refreshing yoga class, community satsang, or just a good ole fashioned chat!